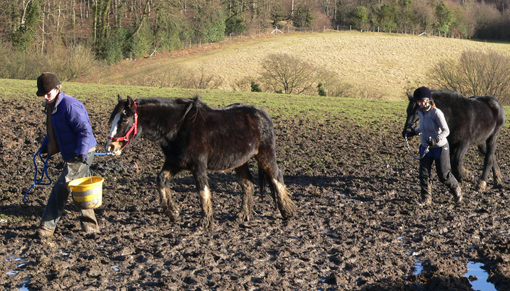 On 9th January 2008, a team of 32 Redwings’ staff responded to an urgent call for help from the RSPCA to assist with the rescue of over 100 horses and donkeys found living in horrific conditions at Spindle Farm, in Amersham, Buckinghamshire. The animals were discovered in varying states of emaciation, covered in lice and suffering from overgrown feet. The carcasses of over 30 horses and donkeys, who had sadly succumbed to illness or injury before their plight was uncovered, laid around them. Simply put, it was the worst case of neglect we had ever seen. 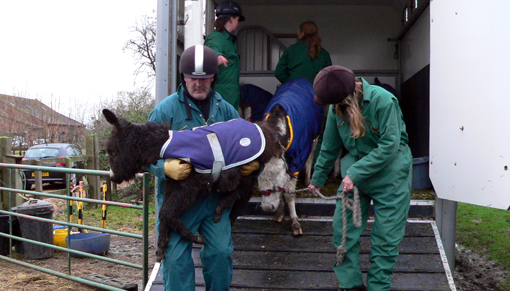 This case also saw the first effective use of new powers under the Animal Welfare Act 2006, which enabled the removal of animals from situations where they are suffering or are highly likely to suffer as authorised by a veterinary surgeon, to ensure every single horse and donkey was transported to places of safety as quickly as possible. Find out how the Act was instrumental in saving the lives of the Amersham horses and donkey by clicking here. 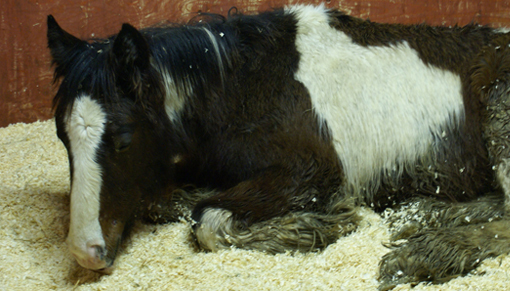 We initially took 21 of the most ill and vulnerable equines back to our Norfolk Horse Hospital for immediate treatment. Over the next few years, we offered a safe forever home to 60 horses and donkeys from Spindle Farm, as well as six foals born to rescued mares. 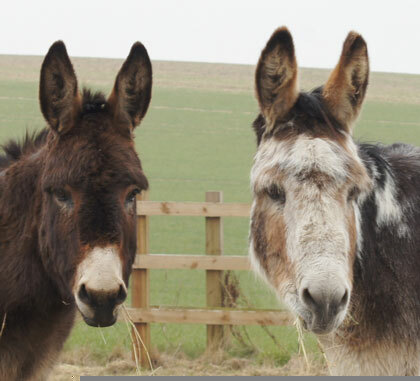 Despite their terrible ordeals and extensive veterinary treatment, an incredible 58 Amersham survivors remain in Redwings’ care 10 years on – 46 horses and donkeys are enjoying life at the Sanctuary, while a further 12 have been rehomed to loving Guardian homes through our rehoming programme. See the amazing transformation of our survivors by clicking here. James Gray, the owner of Spindle Farm, was sentenced to six months imprisonment, plus an additional two months for later absconding from court, ordered to pay costs of £400,000 and banned from keeping horses for life – the maximum penalty available to the court for nine charges of causing unnecessary suffering to animals and two charges of failing to protect animals from pain, injury, suffering and disease. His son, James Jr, was also convicted of identical charges (although he would later be acquitted of two charges) and was sentenced to an 18-month supervision order, while James Gray’s wife, Julie, and two daughters Jodie and Cordelia were also found guilty of two counts of failing to protect animals with each ordered to undertake 150 hours of community service. The family was banned from keeping horses for 10 years. You can see a full timeline of the rescue and subsequent court cases here. We will be remembering this landmark rescue and celebrating our survivors with a special series of activities and events throughout 2018, including the launch of a new fund to help care for the Amersham horses and donkeys for the next 10 years. Supporters will be able to purchase exclusive gifts inspired by the Amersham survivors, as well as commemorative knitted and crocheted horses and donkeys. They can also contribute to a charitable art sale, attend a memorial service and enjoy special meets and greets with some of the adorable horses and donkeys at Redwings’ visitor centres across the country. Lynn Cutress, Redwings’ Chief Executive, said: “Amersham was a momentous rescue that not only left a mark on Redwings, but the wider public too. Never before had people’s eyes been so opened to the suffering of equines in this country, while the use of the new powers under the Animal Welfare Act was a real ground-breaking moment for the animal welfare community and has gone on to revolutionise how we save horses in need ever since. The rescue also saw colleagues from various animal welfare organisations, including Blue Cross, Horse Trust, RSPCA and World Horse Welfare, unite, inspiring numerous multi-agency operations thereafter. “I remember seeing the horses and donkeys as they arrived at Redwings and it wasn’t just their appalling physical state that shocked me, but their eerie quietness and sheer sadness. It wasn’t until weeks later when we heard the donkeys sing for their breakfast for the first time that we knew we had turned a corner in their recovery and they finally felt safe. 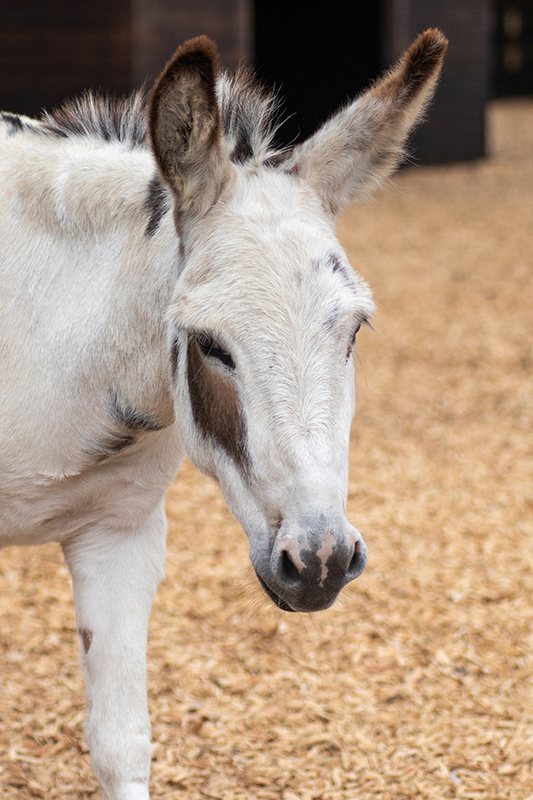 “It’s a testament to the hard work and love of our veterinary, rehabilitation and care teams that, despite their horrific neglect, so many of these horses and donkeys rescued from that terrible place are still enjoying happy lives 10 years on. Watch our Amersham 10 documentary and hear from those at the rescue.